At McNeil Industrial, we are a highly experienced and skilled ammonia refrigeration design and manufacturing company serving North America. Our team is able to assist you with all of your ammonia cooling system needs. We utilize our ammonia refrigeration design capabilities to ensure you benefit from a cost-effective, high-performing, and reliable ammonia refrigeration solution. Our designs are created to operate in an energy efficient and reliable manner that reduces the need for maintenance over time. They examine each stage of the systems we design, and determine areas were cost reductions are possible without hindering the performance of the entire system. We are fully aware that our customers have differing requirements when it comes to ammonia cooling systems. Our engineering team places great priority in ensuring your system functions exactly as required. When we design an ammonia cooling system, we search for ways in which we can apply innovation for optimum results. If you are ready to switch out your existing ammonia refrigeration system for a new, more efficient system, we can help you understand your available options. Our engineers and designers can execute and manage your project from start to finish to ensure the system he receive functions in a cost-effective and efficient manner. At McNeil Industrial, we are an experienced provider of advanced cooling systems that operate with cost-efficient performance. We design and manufacture low maintenance and highly economical industrial ammonia cooling systems that can be used in various applications. For over two decades, we have designed many refrigeration systems for our clients. Our extensive portfolio, and considerable experience over more than two decades, gives us the credibility and capability to take on various refrigeration design issues through the implementation of state-of-the-art technology and a cost-efficient design process. Regardless of your project requirements, we have your ammonia cooling system design needs covered. 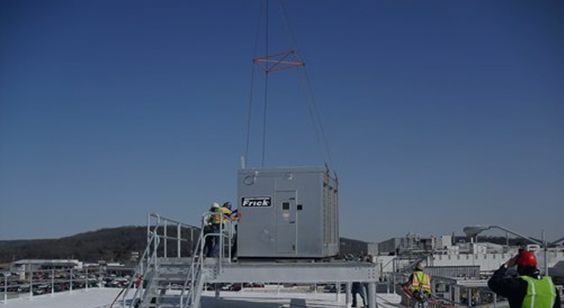 If you are ready to upgrade to an ammonia refrigeration system, the skilled team at McNeil Industrial has the experience and resources to help you. To learn more or to get started, call us today at 800.728.6160 or send us a message through our contact form.